Tuesday, March 27, 2018, 7 PM – 9 PM. 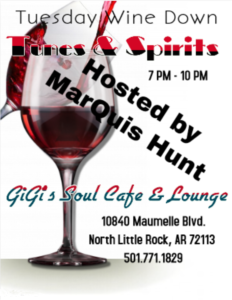 If your Mondays are rough, wind down on Tuesdays with tunes and spirits at GiGi’s Soul Cafe’ and Lounge in Maumelle. The area’s finest jazz musicians show up to share the stage with MarQuis. There is no cover charge, ample free parking, and food and drink specials. Call 858-480-7673 for more information or email L A Rose. Monday, March 26, 2018, 7:30 – 10:30 PM. The Lobby Bar, 320 W. 7th St., Little Rock, AR 72201. (501) 374-2615. Free admission. MarQuis Hunt will be performing with The Goat Band. This band is always popular with the fans and the non-smoking venue is laid back. Drinks available for purchase. Tuesday, March 20, 2018, 7 PM – 9 PM. If your Mondays are rough, wind down on Tuesdays with tunes and spirits at GiGi’s Soul Cafe’ and Lounge in Maumelle. Tuesday, March 13, 2018, 7 PM – 9:30 PM. 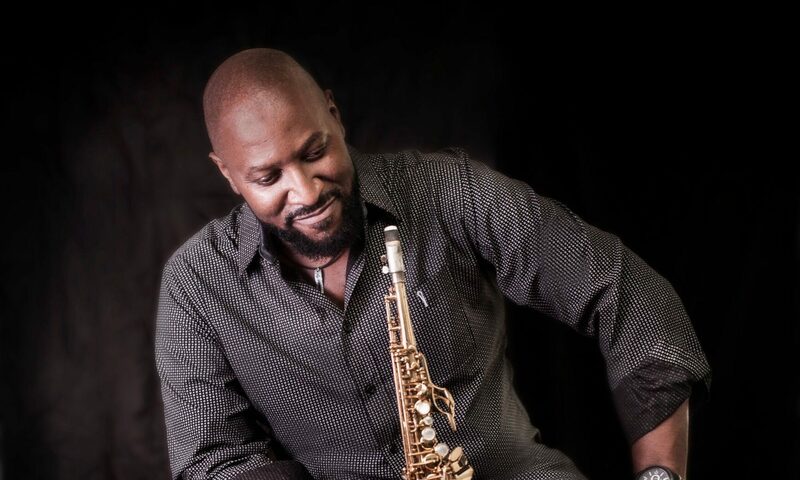 Don’t miss jazz saxophonist MarQuis Hunt of MarQuis and MOOD at Gigi’s Soul Cafe’ and Lounge in Maumelle. Some of the area’s finest professional musicians show up to jam with MarQuis. There is no cover charge. Dinner and drinks are available for purchase. Call 858-480-7673 for more information or email L A Rose Entertainment Services.